Some Kind of Star Trek: Where Are We Up To With 2017? As Star Trek Beyond approaches and the excitement reaches fever pitch for our first new Star Trek adventure in a few years, Bryan Fuller has been quietly putting together his staff for the upcoming 2017 Star Trek TV show. Is he the best person to run the new series? I think so - without any doubt. 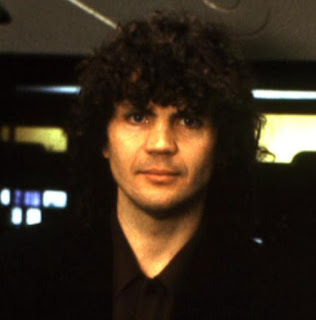 When you look at his Star Trek credentials alone he has some great episodes including Drone and the seminal Living Witness (with Joe Menosky!) and of course Bride of Chaotica!. Another reason why I think he is an excellent choice is that he is successful outside of Star Trek with such shows as Pushing Daisies, Heroes and Hannibal. Gretchen Berg/Aaron Harberts got their start on Beverly Hills 90210. Not a lot is known about both of these writers except that they worked worked with Bryan Fuller previously on Pushing Daisies. They have also worked on popular series such as Revenge and Roswell. Jesse Alexander has worked on Alias, Hannibal, Lost and Heroes. Note again the links to Bryan Fuller and also Orci/Kurtzman. For those of you who watched Alias he wrote The Box which starred Quentin Tarantino and was one of their highest rating episodes. Clive and Tiff talked about the addition of Joe on their podcast because this is a huge addition to the super-team. Joe Menosky is well known to long time Star Trek fans as he got his start on The Next Generation writing such stories as Darmok. 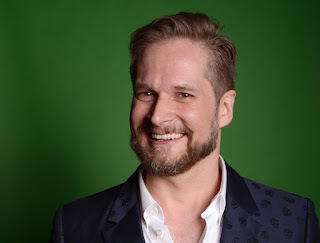 He wrote a few episodes of Deep Space Nine which were perhaps less successful including Dramatis Personae and Time's Orphan but most of his post The Next Generation work came on Voyager where he co-wrote Living Witness with none other than Bryan Fuller. He also had a hand in Scorpion and Year of Hell which are regarded as two of Voyager's most popular stories. Menosky is usually known for his high concept scripts so we can see why he was chosen for the new series. Also it bodes better for Menosky if the show is starship-based rather than on a static station. NB - forgive the mid-90's headshot! After the announcement of Fuller, Meyer (and possibly Menosky). I don't think anyone generated as much excitement as Kirsten Beyer. As far as TV is concerned she is untried but if you have read any of her Voyager novels you will know how great she is at tying loose ends together and making them work well. Her work is so good Pocket Books have given her a solo run on the Voyager novels. The early word is that she will continue to write these in her downtime from the show. To find out more about Ms Beyer please check out fellow SKoSTer Tiff's interview here. 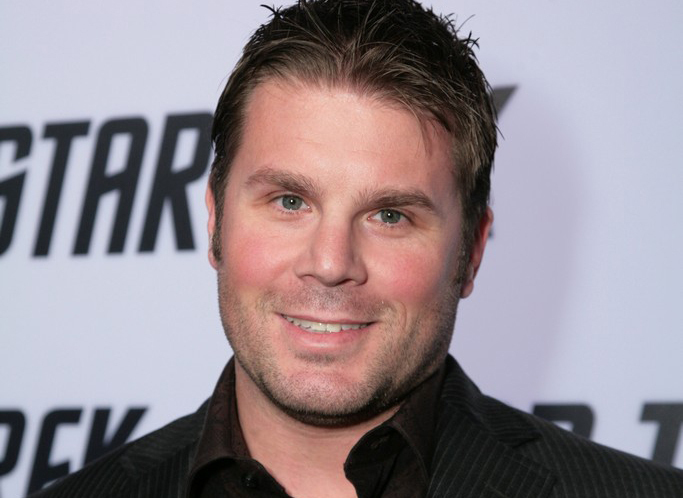 Aron Coliete is completely new to the Star Trek franchise but he has worked on Heroes but is probably more known from his work on the Ultimate X-Men comic book. He was also involved in the TV show The River starring Star Trek alum Bruce Greenwood (aka Admiral Pike in the Kelvin Timeline). If you get a chance to see this series; do. It's amazing!! Kemp Powers like Kirsten Beyer hasn't worked in TV before. However this is the one that excites me the most. He known as a journalist, author and playwright. If you get to see his play One Night in Miami about Muhammad Ali you are in for a treat. He is likely to bring a real world perspective to the series that might otherwise be missing among the talented team of fantasy and sci-fi writers. 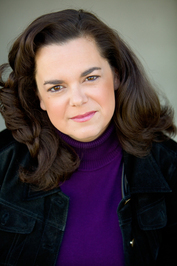 Not a lot is known about this lady apart from her being Alex Kurtzman's partner in his company K/O Paper Products. Probably Easily the most divisive appointment due to his involvement in the reboot movies. He is also rumoured to be directing the pilot according to Mark Worthington (Production Designer) although this hasn't been confirmed by CBS or Bryan Fuller at this time. No one is quite sure what there actual role will be. Both are from Roddenberry Entertainment but is it just a marketing ploy to have a Roddenberry involved? We will just have to wait and see! The most recent announcement. He has previously worked on Cube which was the cult Nicole De Boer film from the 1990's. He has also worked on Earth Final Conflict with the Roddenberrys and most recently with Bryan Fuller on three seasons of Hannibal. Some of you may have seen his designs online for reported Klingon ships. Unfortunately these designs have been removed. For anyone unfamiliar with his extensive work he designed the opening scene for Lost (yeah - that really inexpensive bit with the crashed airliner that helped make it the most expensive pilot of all time). 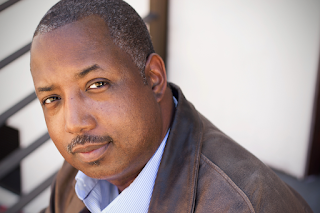 He has worked on shows as diverse as American Horror Story and Ugly Betty. Well it's 13 episodes long will run anything up to 60 minutes to streaming online rather than being on broadcast TV. There has been the note made that the running times could vary episode to episode because of this swanky format on CBS All Access. One of the first things we found out was that it will be filmed in Toronto starting in September 2016 and running to around March 2017. Rumour also has it that the sets have been designed and that they will begin construction VERY soon. Apparently the bridge set is stunning. The designers have been taking inspiration for new starships from sports cars which sounds very similar to what was done for the reboot USS Enterprise. The story for the first season arc is written and the first six episodes are broken down. Wow. Now that's progress for you. Interesting that the first season will be 13 episodes but that doesn't confirm anything for subsequent years. I guess this is a case of seeing how the first year runs and then expand from there. If the show maintains that number of episodes for an average run of seven years we will have a total of 91 episodes making it the second shortest series ahead of The Original Series (79) and behind Enterprise (98). Bryan Fuller has noted that it is not set between The Original Series and The Next Generation which isn't a huge surprise but then that means we haven't got any timeframe confirmed plus we have it on the authority of Fuller that it's not an anthology series. 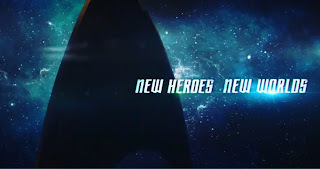 Taking that and the fact that the teaser trailer talked about "New Crews" we can guess that Star Trek is going to have more than one ship and crew at its heart which I also surmise will help with the 13 episode arc. Finally, they are currently talking to actors and hope to release some concrete information around San Diego Comic Con - so there's still hope to see Nathan Fillon in the captains chair huh?! I've not seen that many names banded around actually but let's keep our minds open. I'd rather not commit to anyone and be very pleasantly surprised. Remember all, at one point there was a rumour that Bryan Cranston was going to be the villain in Beyond and look where that went. On the point of cast it's been suggested that in the future of the show we might get to see characters from other iterations of the franchise so that final Garak or Seven of Nine appearance could still be on the cards. What do we hope to see? Star Trek is coming home. 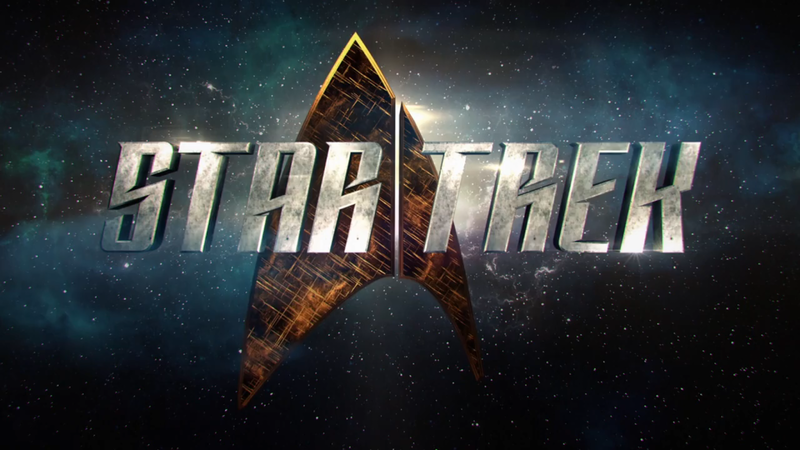 While we like to see the movies - Star Trek belongs in the TV format. The biggest question people are asking is in which timeline will it be in and here's my answer. I don't care!! There I've said it. Star Trek is about the stories it tells - it's morality plays. At the end of the day a good story is a good story regardless of where it's set. I think one issue that might - and I say might - exist is the fallout from the recently announced fan film guidelines and that fans may boycott the show (and Beyond). I don't think that the number of people who will do that will have a massive effect on the audience but it's something to bear in mind. There has been a move to rename the JJ/Abramsverse the Kelvin Timeline. Maybe more than Bad Robot will be playing in this universe? But then Bryan Fuller has said we eventually will run into established characters so maybe it's the Prime Universe. 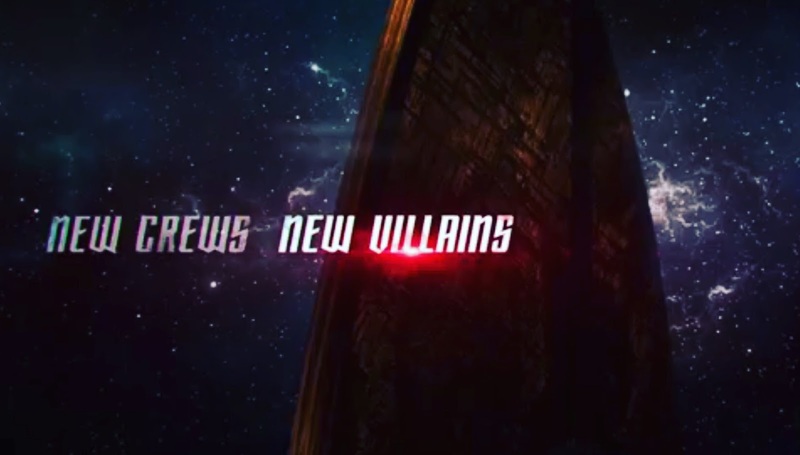 The inclusion of such a diverse range of writers means that while we will undoubtedly get to see new concepts, good character conflict and a firm base in the Star Trek universe we will have a good deal of grounding in the real world too and that's going to be important if Fuller and co are keen to provide a relevant social commentary as occurred with The Original Series. All I know is the eleven year wait for a new series is nearly up and it will be time for this new generation to boldly go where no one has gone before. What do you want to see from the new show? Worried it might not go in the "right direction"?